They took a Udon and Origami making class! I hope she did teach them well!! Their Udon looks like のれん(Noren)!! They are a very nice couple♡ Lots of mile:) I sometimes wonder why all my guests are so awesome!! They also liked my handmade Origami earrings and Tsumami-zaiku accessories!! Brought them back home 7 of them O.o!! They left great reviews on Facebook and TripAdvisor. This is the one on TripAdvisor. We have decided to take our vacation this year in Tokyo, we are always looking for something local and if possible combined with artistic experience. We have found Wakalture on trip advisor with very high recommendations so we booked us the Wakalture experience. 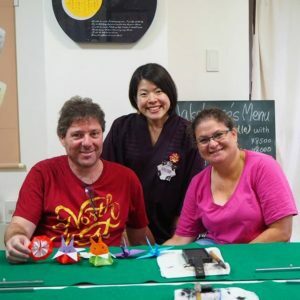 From the minute we booked our visit, Wakana introduced herself and we started corresponding by mails, Wakana had explained everything so we knew exactly what to expect for. 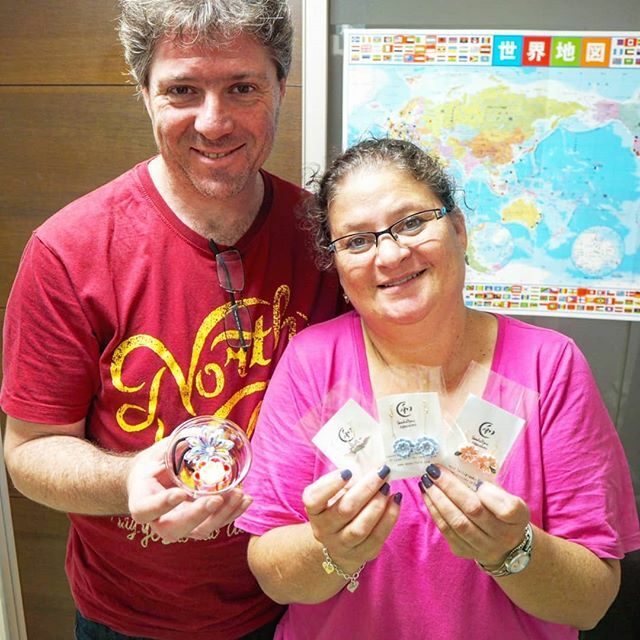 We arrived to Wakana apartment, Wakana was so welcoming and nice with a great attitude and made us feel like home. 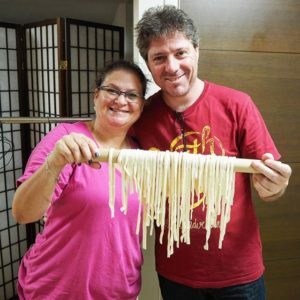 We booked the Udon and Origami experience, we started with the Udon dough preparation and while we had to wait about an hour for the dough to be ready we did the Origami part. Wakana was so nice and patient with us and made it fun and enjoyable experience for us. We are grateful and fortunate to have meet Wakana and taking that experience, it is highly recommended. Thank you for coming to Wakalture! !